This is just a perfect example of how if you don't evolve, you get left behind, and in this instance, the superior aesthetics and formulas of games like Modern Warfare take your place. And you aren't being nit-picky at all man. I agree 110% with you that Infinity Ward absolutely trumps Halo outright graphically. I just wanted to hold off on the comparisons so people didn't play that "ur a fanboy lol rofl umad" card. Anyone who disagrees can take any level from any Halo game and compare it to any level of Modern Warfare 2 and the attention to detail is just stunning once you realize how indistinct, careless, and, in all honesty, lazy Bungie really has become. Also, as an appendage to the actual review, I'd like to add in a few other things. 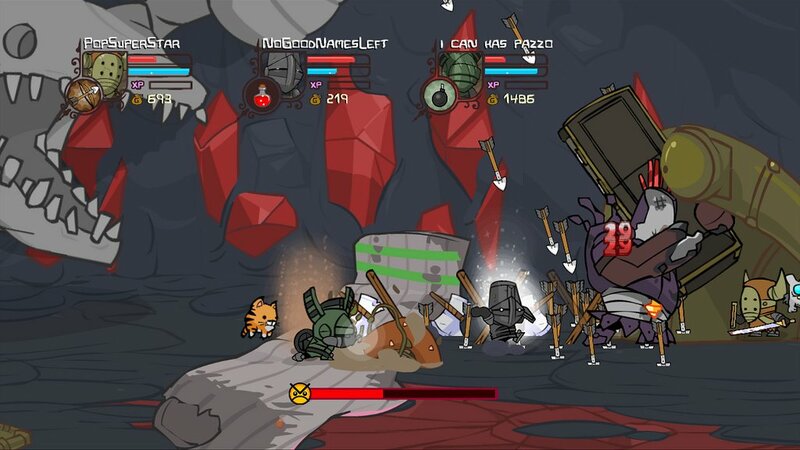 The levels in multiplayer have reached a point that almost none of them stick out to me anymore and they're about as canned as corn, much like the design of the single-player. The game type Invasion Slayer is also extremely broken. Spartans spawn with an assault rifle and the Elites spawn with a [I]plasma rifle and pistol[/I]...on the 10 mile wide Hemorrhage. 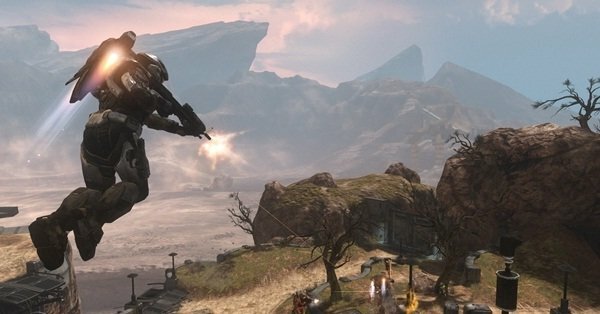 Add to that the serious lopsidedness once the Scorpion tank is unlocked for the Spartans and you won't be able to spawn without being killed, resulting in the most obnoxious 15 minutes you may have ever spent with any [I]Halo[/I] game. [ATTACH=RIGHT]17297[/ATTACH]This is it. You’ve aged that cache of Mountain Dew Game Fuel in your finished basement for three years since [I]Halo 3[/I]. You bit the bullet on your purchase of [I]Halo: ODST[/I] to find out it was as tame as you had expected. You took another one on the chin with [I]Halo Wars[/I], which was a cheaper gimmick than [I]Lion King[/I] toys in a McDonald's Happy Meal (stupid Ensemble Studios). The wait for redemption is finally here. The golden child to a decade’s long culmination of gaming’s premier and most coveted franchise has arrived. 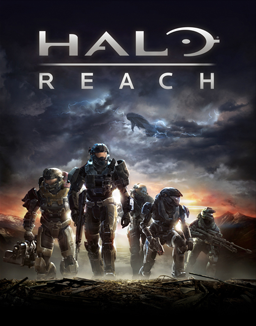 Ladies and gentlemen, [I]Halo: Reach[/I] has entered the building. [QUOTE=Ancient Dragon;1336148]Does Tom Hudgson = Glass Joe? Haha with an attitude like that you'll never be able to enjoy yourself AD! 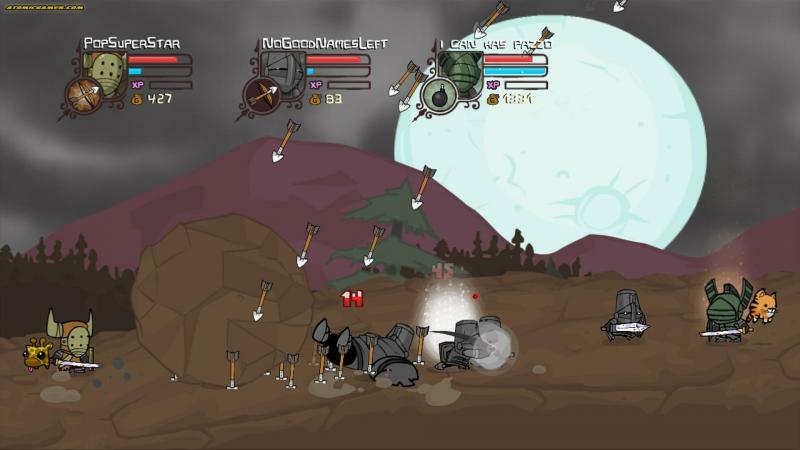 As long as you have a pulse and can press buttons, you will absolutely adore this game. Sadly, it is only available on PSN and Xbox Live, but you raise a good point with it lacking the availability of Windows 7 support, which would easily be able to handle it. 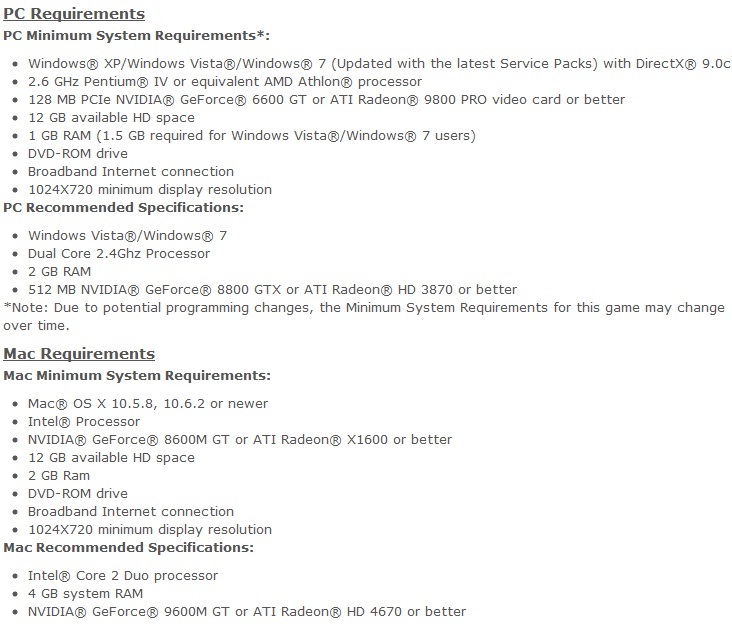 Why the developers don't open their games up to the PC/Mac market is beyond me. I tell yah though, it's never too late to own a PS3, especially if you don't have a Blu-ray player. 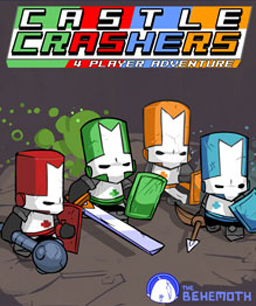 The overall rating rating for [I]Castle Crashers[/I] is a [B]9/10[/B]. I have no idea why it didn't post in actual review. [ATTACH=LEFT]17229[/ATTACH]In my recently reviewed [I][URL="
Re: U.S. Military Bans Medal of Honor's Sale From Its Bases--Has Censorship Gone Too Far? "Aren’t these soldiers fighting for our freedoms and sensibilities, the same ones that constitutional rights uphold and protect? My heart goes out to their valiant souls and their unnerved families, as they sit and pray for the day their loved ones will return home." Hello Jon. I made the latter part of that comment so people would understand I wasn't some callous, mentally deficient sociopath who enjoys seeing our soldiers die in the Middle East. Now that you know this, and considering it was a cornerstone to your viewpoint that I'm some sentimentalist, which you deduced after misinterpreting something from a single line out of everything I've typed, where to next? Also it's interesting to note how you leave out the very next paragraph which helps tie in the "sentiment" I used, making my statement that much more applicable: "Haven’t these noble enlistees earned the right to do whatever they please?" And as for "Aren’t these soldiers fighting for our freedoms and sensibilities, the same ones that constitutional rights uphold and protect?" -- it still applies and makes glaring sense. To whom and how does the definition of the word "grandstanding" apply? First and foremost, we are talking about Xbox Live, not everyone who plays on an Xbox. Your insinuation is completely inaccurate. Secondly, if I had called [I]everyone[/I] an imbecile and a moron, the number would be 100%. If you have ever used the service (which judging from all of this sounds like you haven't) to hear the unadulterated bigotry riddled through every match you play or kids shouting, screaming, and singing into their mics, you would understand why I left it at a slim .1%. My statement was steeped heavily in sarcasm and was appreciated I'm sure by avid Xbox Live users, which you can see referenced from the rep of the posting. Lastly, Xbox Live is not comprised of just "young people." In fact, the most successful demographic for video games is 18-34 at 45%. People aged 35+ also comprise 11% of the userbase. Video games transcend age limits, and assuming that their usage is bound by the stereotypes of ageism is ridiculously uneducated when video game media accounts for 5% of household entertainment spending, outpacing print subscriptions, premium TV, home video and music. Then pray tell good sir, what was its purpose outside of being sarcastic? 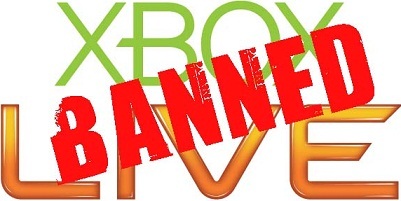 Banning something will only make people want it more because they can't have it. There's no such thing as bad press. [QUOTE=tiger86;1329353]I'll say it again: this game is wrong on so many levels. The human mind, especially the teenager mind is very impressionable. This game should be banned or at the bare minimum have everyone be over 18 & carded & sign sometype of legal agreement. I am sure some stores will refuse to carry it while others see the dissatisfaction of their customers and stop selling it. Seriously, what were the game designers thinking? I design games & I leave anything to do with politics out of my games. Yes, this has to do with politics and so much more like morals and ethics. That's fantastic...you said it again. That means I get to read the same baseless rhetoric twice. On what levels is this wrong? You have discussed how this issue has made YOU feel, so now explain why its a blemish to society. I truly don't think you've read anything that anybody has typed. Also, the sky is blue and dogs wag their tails when they're happy. It's called the ESRB and stores carding people for games with a [B]M[/B]ature rating. Do you have any idea at all about anything you're typing, or is it all just sort of loosely falling out of your head to your fingers to bang together words on the keyboard? If you're a game designer, seems as though you'd know these sorts of things. I agree 110% PCS. I got so fed up with this dumpy game and writing the review for it, I just wanted it to be done with. But you're completely accurate with the waypoint system. You are always left guessing where to go, as the markers disappear and reappear for no reason at all. Plus, the markers are all the same style and the lines the same color, so it's literally like flipping a coin when deciding which path to choose to complete your mission. All in all, a terrible game that was so far and away from anyone's expectations with the title. I interpret it as meaning mentally incompetent people who fail to formulate sentences past a 4th grade level and lace them with homophobic, racist remarks as substance instead. [QUOTE=tiger86;1329294]I am so glad Ancient Dragon was here to defend those who serve and have served in the military. My dad,my uncle, my grandfather, my great-grandfather, my great-great grandfather all served in the military. I am so glad that the government banned the game from being sold on the base. 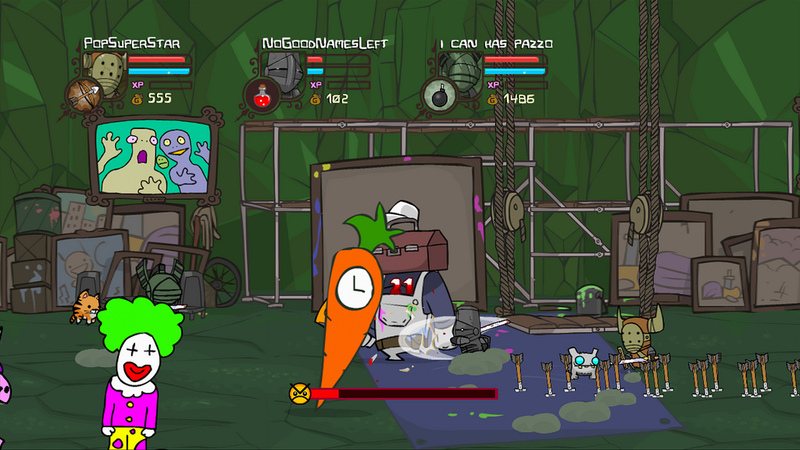 I think that this level should be banned altogether, but it is freedom of speech so it is allowed even though it is sickly warped, morbid, vile and Anti-Earth. 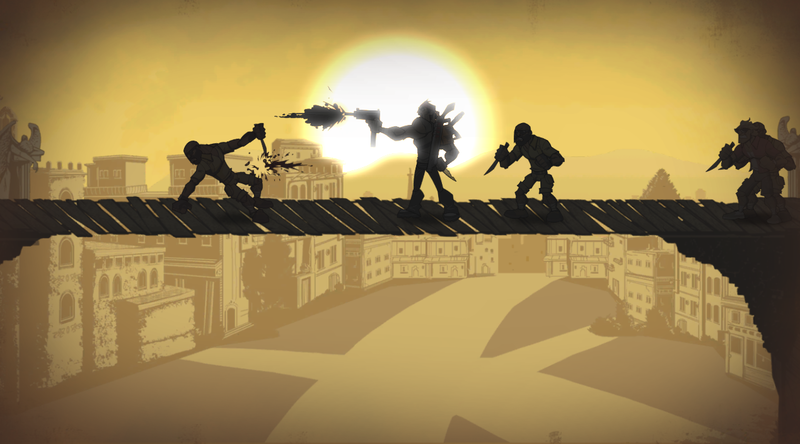 Letting people play as the Taliban might give them the wrong impression. I keep seeing references to grand theft auto and how it didn't cause any problems. I know that a major fact has been ignored by gamers that GTA was the cause of at least one Real Life issue that I remember reading about off the top of my head. Three cops died because of an 18 year old who killed real cops after playing the Grand Theft Auto game. A long time ago when GTA was new a friend said this is a cool game. I put it in my system turned it on and as fast as I turned the game on I turned it off. I highly discourage the company from releasing this anti-american, anti-british, anti-earth level and if they do I highly question their judgment. You can give me negative ratings all you want. I know what is right and what isn't and this is not right!! I am also in the minority then. I have always been a firm believer in if something isn't broken, then there is no reason to fix it. Call of Duty has become the definite multiplayer experience, silencing decades ruled by franchises like Quake and Unreal Tournament. Judging from the time I've spent on both Modern Warfares, I'm not worried about my dollar getting its value here with new weapons, killstreaks, modes, and maps. If this video doesn't pump you up to play this game, you don't have a pulse: [URL="
Exactly, my friend. This was why everyone was scoffing at the lawsuit when this news broke. How are they going to gain any ground when it's all essentially under the public license? Wherever there's a boatload of money to be made, there are lawsuits to follow, so I guess we shouldn't really be surprised anymore. They will almost certainly get nowhere and will just crawl back into their hole with lawyer fees through the roof. I wholeheartedly disagree with you, Dragon. My point wasn't that the military doesn't have the right to ban this game. It was that men and women in the armed forces are dying for our freedoms of choice when they aren't even afforded any for themselves. Now they're going to intervene with which forms of entertainment media our soldiers choose to enjoy? It's asinine. This isn't about loyalties; this is about sensibilities. Have you ever watched [I]Platoon[/I], [I]Saving Private Ryan[/I], [I]Apocalypse Now[/I], [I]Black Hawk Down[/I], [I]Band of Brothers[/I], or [I]The Pacific[/I]? How are they any more or less an insult than the scenarios one will play witness to within [I]Medal of Honor[/I]? It's a huge double standard. In the end, all you're choosing to do is surround yourself with things that better suit you. Like Vernon says, you could literally make a point like this with the release of any game, movie, or album; relating this to Grand Theft Auto is a perfect example. What a miserable existence it would be if people took everything with a grain of salt. Why even get out of bed in the morning if every offensive crevice and facet of modern society upset you? It wouldn't even be a feasible existence. That is why people have the freedom to choose what brings them joy, a freedom good people die for. That is why this is ridiculous. It came as a shock to many people that the “No Russian” mission in [I]Call of Duty: Modern Warfare 2[/I] allowed players to act with such extreme malicious intent. The inclusion of the mission sparked a blazing controversy amongst pundits and critics alike, with its gratuitous depiction of terrorists mowing down innocent civilians at a crowded Russian airport. It was one of the most intimately morbid moments in recent gaming history. 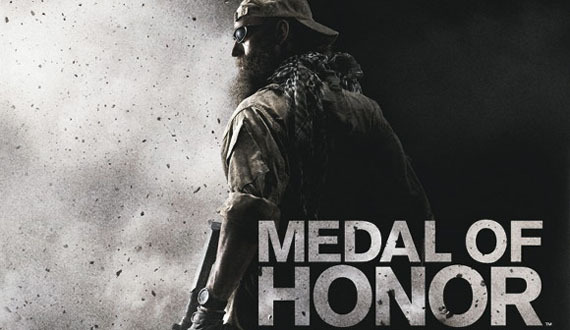 [ATTACH]17130[/ATTACH]It doesn’t come as any shock that after all the public scrutiny [I]Modern Warfare 2[/I] received, the soon-to-be released [I]Medal of Honor[/I] is being met with resistance before the title even hits the front lines. After it was announced gamers will have the option to play as a Taliban terrorist at some branch of the story, which follows Tier 1 special operatives in modern day Afghanistan, the U.S. Military threw the red flag and outlawed its sale at bases across the country. "We regret any inconvenience this may cause authorized shoppers, but are optimistic that they will understand the sensitivity to the life-and-death scenarios this product presents as entertainment," said Maj. Gen. Bruce Casella, who commands the Army & Air Force Exchange Service. The game has already been banned at nearly 300 Army and Air Force base exchange shops. The Navy was quick to follow suit, barring it from 104 of their exchange shops, as well. 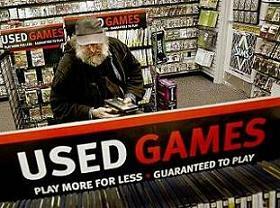 The prohibition also looms over the 49 GameStops located nationally on military bases. Xbox Live is a breeding ground for hateful, inflammatory remarks of all genders, races, creeds, and sexualities, where aimless insecurities are flung around like rocks at street signs. Who would have thought that it would be Microsoft doing the discriminating for once? 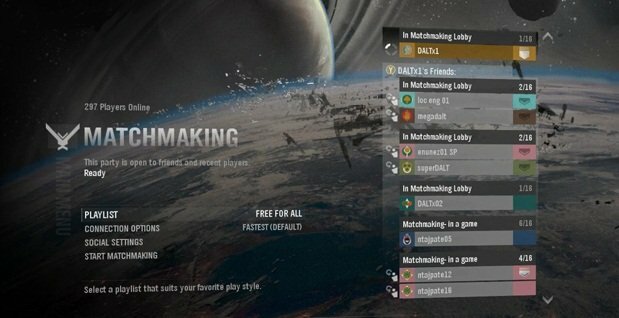 A 26-year-old gamer from Fort Gay, West Virginia was banned momentarily from his monthly membership when Microsoft enforcement officials deemed his profile inappropriate. His crime? Listing himself as a proud resident of "fort gay WV." "At first I thought, 'Wow, somebody's thinking I live in the gayest town in West Virginia or something.' I was mad. ... It makes me feel like they hate gay people," said Josh Moore, an unemployed factory worker. When Moore contacted Xbox Live to explain how wrongful a decision they had made, the agent seemed impervious and unwavering to the fact that Fort Gay was called home by roughly 800 citizens. Even offering a zip code didn’t deter the iron fist of the voice over the phone, who told him if he chose to reference Fort Gay in his profile again, they would cancel his membership. The incident gained the attention of Mayor David Thompson, who tried his hand at amending the situation and was met with the same fate, being told that the word “gay” was inappropriate no matter what the context. [ATTACH=RIGHT]17038[/ATTACH]Goonies aren’t the only ones that never say die. 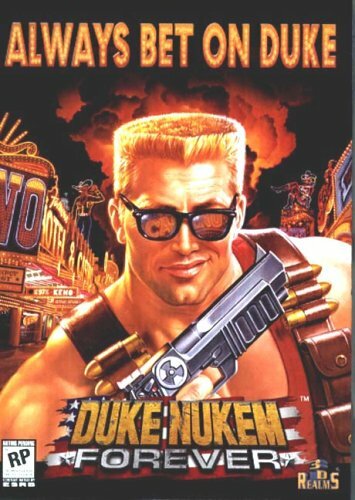 [I]Duke Nukem Forever[/I] has finally seen the light of day after what will be 14 years coming upon its newly anticipated 2011 release date and 923859023 jokes later about how the game has taken “forever”. And in local news, pigs are flying over yetis parading on unicorns at the Loch Ness Monster's birthday party, while Satan pulls off a triple Lutz in hell. 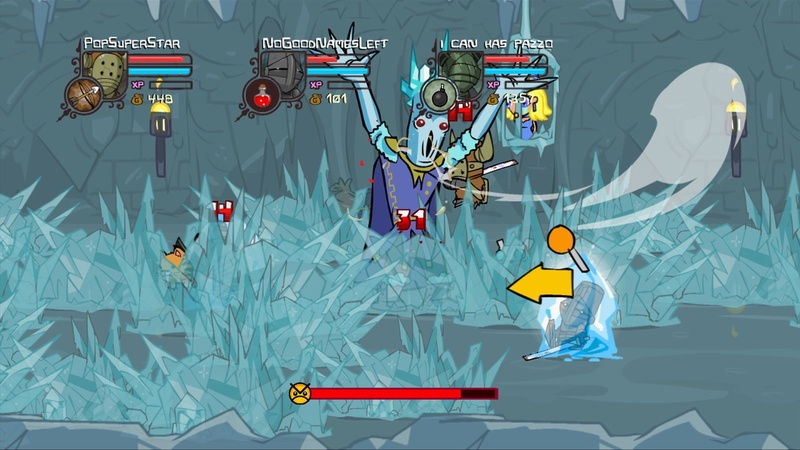 The long-awaited title made its debut earlier today in front of attendees at this year’s Penny Arcade Expo (PAX), taking place from September 3-5 at the Washington State Convention Center. Videos were quick to surface online, depicting everyone’s favorite bubble gum-chewing, cigar smoking, quick-witted protagonist ridding the world of alien scum with some really big guns and a monster truck fit for the king himself. After [I]Call of Duty: Modern Warfare 2[/I] set the bar as to what the franchise could achieve, nobody envied the shoes that Treyarch had been asked to fill with producing the next installment. Their previous involvement and lackluster contributions to the franchise were what Aquaman brought to the table for the Justice League of America. 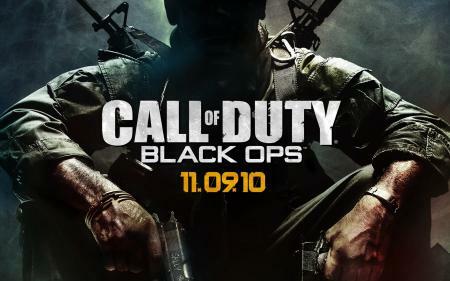 Not anymore, as the studio embarks on the largest launch in Activision history with guns a blazing. [ATTACH]17027[/ATTACH]Treyarch is upping the ante with Black Ops, literally. The studio just released a video highlighting their four new free-for-all modes which will make matches that much more frenetic and addicting, giving action junkies a double fix of headshots and gambling. 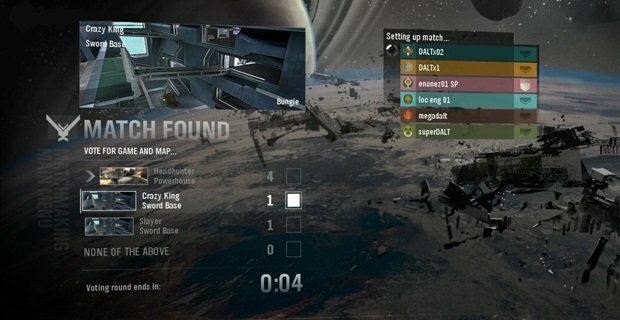 Wager Matches are the new competitive game types offered in [I]Black Ops'[/I] multiplayer, where gamers get to wager Call of Duty Points (CP), the in-game currency that you use to purchase weapons, upgrades, and character customizations. Players use their CPs to bet on placing in the top three spots, known as being "In the Money". CPs are an entirely separate entity from the XP one gains to advance in rank, so they definitely tote some worth and significance for players looking to branch out with their weapons and classes. If you thought trash talking 12-year-olds and people from Brooklyn were bad before, wait until November. 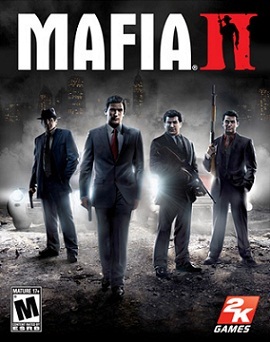 [ATTACH=LEFT]17025[/ATTACH]If there are two things I enjoy in life, it’s mob movies and shooting people in video games, so naturally, I was excited to play [I]Mafia 2[/I], the recently released mobster offering from 2K Games. This excitement was soon shot down like Spider in [I]Goodfellas[/I]. 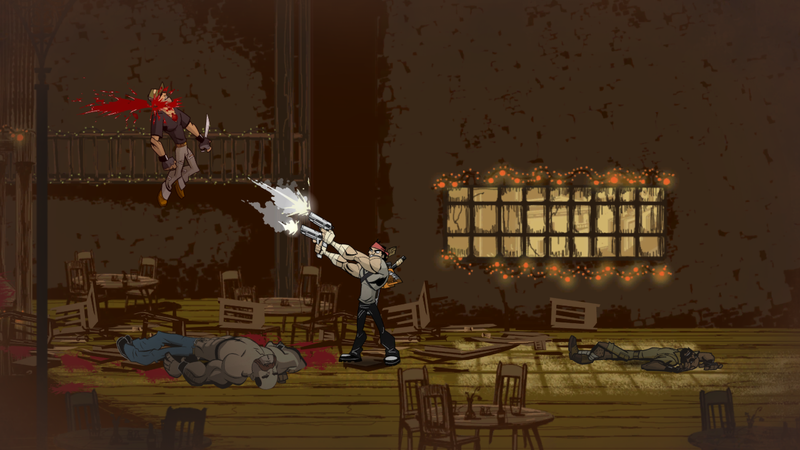 You play as Vito, the generically named Italian immigrant trying to escape a childhood of poverty and crime. Fresh off a tour of duty in World War 2, you arrive home to your old friend Joe offering you small-time jobs for local made men and are blinded my the lifestyle it will allow you to lead. This is right before you are blinded by all the glaring problems of this game. Underwhelming graphics are as dated as the era they try to detail, with an ambitious story lost in the shoddy design of a game seemingly archaic when compared to other next-gen titles. With its grainy textures, lagging frame rates, terrible lip syncing, and broken character animations, it legitimately feels like a Playstation title at times. It is just a very uninspiring, flavorless experience, a dish that tastes like Vinnie’s motha’s pasta fazool. Oh, hey! Car handling is slow and wretched, albeit probably realistic to the time, but why not spare some expense at authenticity’s sake to provide something enjoyable for the player considering they’re spending 80% of your game behind the wheel of some putt-putt vehicle fresh off the Ford assembly line? [ATTACH=RIGHT]17007[/ATTACH] Come with me if you want to rock. What is easily the greatest thing you’ve seen all week looks like an alternate ending to [I]Terminator 2: Judgment Day[/I], one that didn't leave me in tears and featured Ahhhnold rocking the main stage at Ozzfest, which isn't a far stretch this year with a leather-clad Rob Halford as a supporting act. 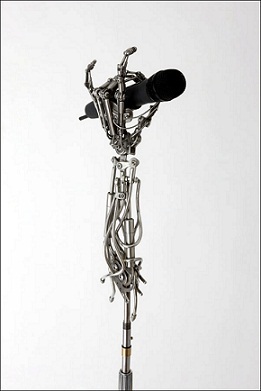 The stainless steel stand, created by artist Christopher Conte, is a true marvel in every sense, much like the man behind the work. The Norwegian born illustration major earned his Bachelor’s Degree in Fine Art (BFA) from the Pratt Institute in Brooklyn while studying anatomy at the Columbia Presbyterian Hospital. He would later go on to work in the medical sector building prosthetic limbs for amputees for 16 years. In his spare time, he melded his love for both realms of his standout creativity into artistic expressions fit for any modern exhibition. 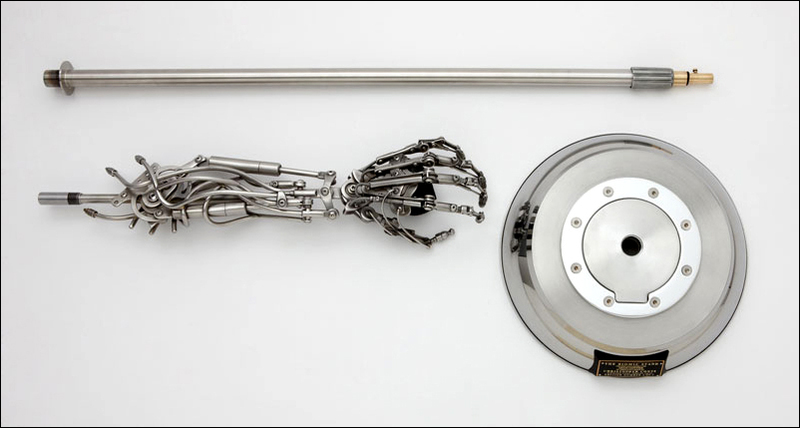 His sculptures, a combination between original components and recycled parts from the aerospace and medical industries, are the cybernetic love child of a Leonardo DaVinci design sketch, an H.R. Giger painting, and Skynet. They have been featured on The Discovery Channel, MTV Networks, and in [I]Discover Magazine[/I], [I]Wired Magazine[/I], and [I]Popular Science Magazine[/I]. His designs even sparked the interest and an eventual partnership with engineers at Northrop Grumman, designer and manufacturer of military aircraft, weapons, and defense systems. Hasn't our military learned anything from Hollywood?!?! I just found this after you got me wondering to myself if there was a place to trade-in DVDs. [ATTACH=LEFT]16935[/ATTACH]Used video games sales are a booming business. When it released last week that GameStop’s earnings had risen 4.2 percent to $40.3 million, up from $38.7 million from 2009--numbers which accounted for 31.7 percent of their annual sales--analysts weren’t the only ones eagerly awaiting the figures. After it was announced yesterday (August 25th) that Target was launching its new consumer electronics services program, including a tech support line, expanded availability of its Target Mobile centers at store branches, and highlighted by the launch of an in-store electronics trade-in program at 850 of its locations throughout September, Best Buy followed suit today by announcing its own used games prerogative. Starting this Sunday, August 29th, the new Best Buy Trade-In program kicks off at nearly 600 of its retail outlets. As a special promotion, consumers will receive a $20 Best Buy Gift Card for their participation in the programs launch. Trades can be completed at dedicated trade-in counters available in some stores or at the Customer Service desk in all others. An initial 100 titles will be featured for store credit, with more titles and eventually used game sales becoming available once they build up a steady supply. If the woman with the British accent suggests you turn left to find a fire hydrant, heed to her warning. 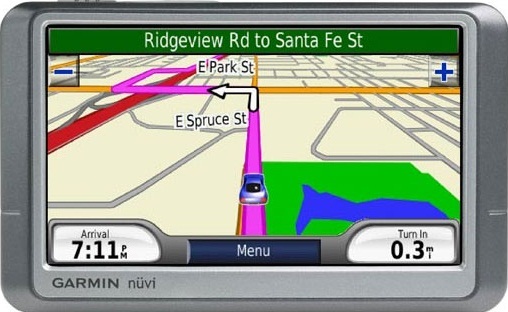 [ATTACH]16904[/ATTACH]Earlier today (August 25th), GPS maker Garmin announced a voluntarily recall of 1.25 million nüvi GPS systems worldwide due to a faulty third-party battery which causes certain models to overheat when interacting with the circuitry. Roughly 800,000 of these recalled units were purchased in the U.S.
[INDENT][I]Garmin is voluntarily recalling certain nüvi devices that contain a specific battery that was manufactured by the battery supplier within a limited date code range. Garmin has identified potential overheating issues when certain batteries manufactured by the third-party battery supplier within a limited date code range are used in certain Garmin nüvi models with a specific printed circuit board (PCB) design. It appears that the interaction of these factors can, in rare circumstances, increase the possibility of overheating, which may lead to a fire hazard. Although there have been no injuries or significant property damage caused by this issue, Garmin is taking this action out of an abundance of caution. 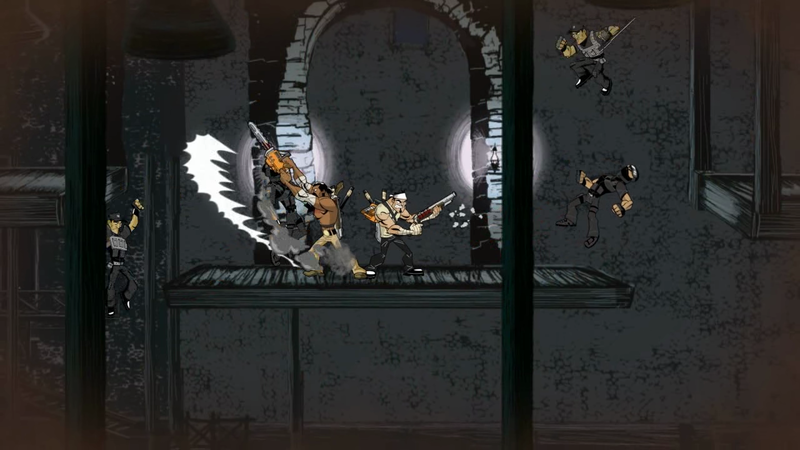 [ATTACH=RIGHT]16899[/ATTACH]Long gone are the days of [I]Double Dragon[/I], [I]Ninja Gaiden[/I], and [I]Final Fight[/I], the classic side-scrolling beat-em-up titles I grew up on as a kid while sitting in front of my TV in Mario PJs. The torch was passed to a newer generation of titles, allowing for players to take their weapons and fists off the 2D plain and into the 3D realm of the [I]God of Wars[/I] and [I]Devil May Crys[/I]. Then there’s [I]Shank[/I], who takes all your fond memories and stabs them repeatedly with a sharpened piece of nostalgia. 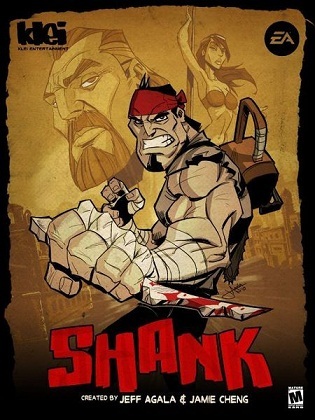 [I]Shank[/I] is a classic video game tale of revenge: guy loses girl, guy climbs across seedy city skylines and through back alley bars and strip clubs to find her killers, guy fights rough and tumble street trash generically named “Jeffe” and “Roxy”, guy fights larger than life boss battles at the close of each mission, guy finds redemption by killing crime syndicate boss at story’s end. The game was written by [I]God of War[/I] co-creator Marianne Krawczyk, who is obviously no stranger to the tune of gore and redemption, a song which Kratos sings in falsetto. In your wake, you leave a trail of lusciously detailed corpses as you travel from left to right in search of justice. [ATTACH=RIGHT]16877[/ATTACH]It’s been a long time coming. 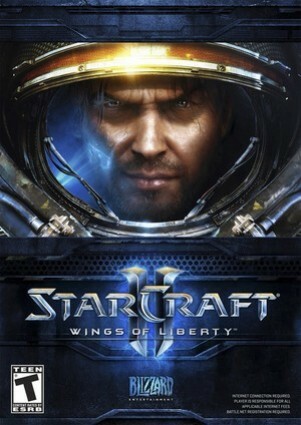 [I]StarCraft II: Wings of Liberty[/I] is here, and in similar fashion, my review of it has finally arrived. It’s tough to completely take in just everything [I]Wings of Liberty[/I] offers in a day or a week, and treated as such, we have a review that has been almost a month in the making. 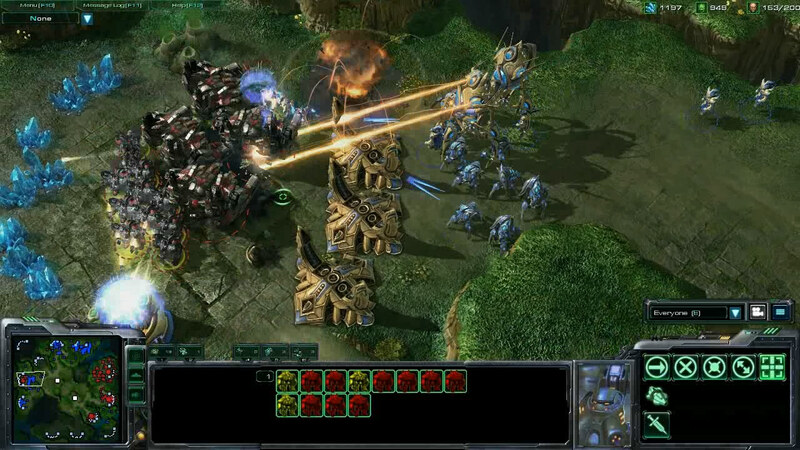 [I]StarCraft II: Wings of Liberty[/I] is easily one of the most anticipated sequels of our generation. [I]StarCraft[/I]'s appeal has spanned over an entire decade since its release in March 1998 and went on to become one of the highest grossing PC games of all-time. South Koreans practically put the game's box art on their flag, holding annual competitions for professional players sponsored like athletes. Will the sequel live up to the hype? Pulling my loyalty away from [I]Warcraft III[/I] and [I]Warcraft III: The Frozen Throne[/I] would be like some movie coming along not named [I]Predator[/I] and winning my affection as the greatest action movie ever filmed. 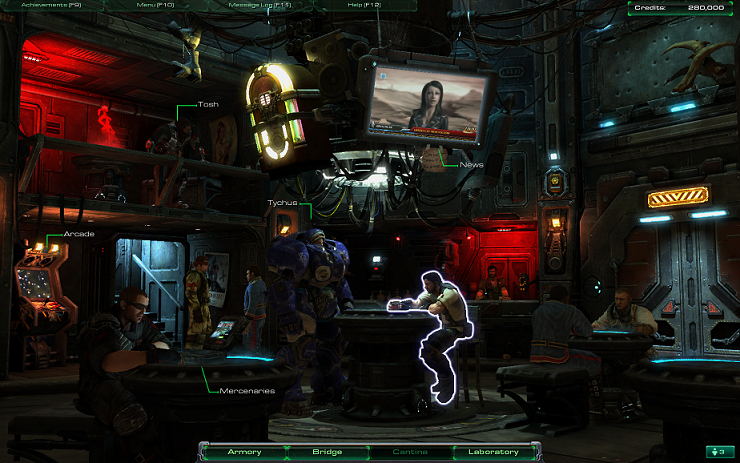 Having now had a chance to entrench myself in [I]Wings of Liberty[/I], I can easily say that the single-player campaign is epic like only Blizzard knows how to make, with a stellar plot and stunning cutscenes leading way into my greatest real-time strategy experience of all-time. 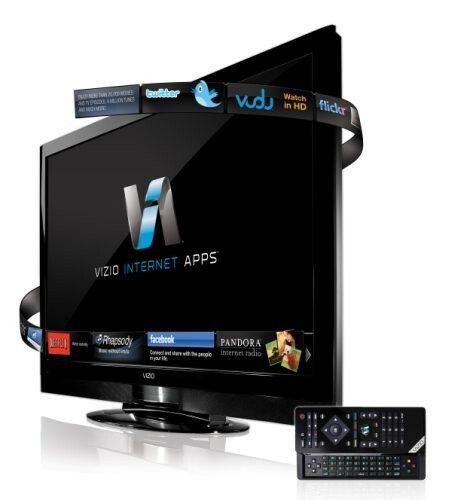 VIZIO has long been the bargain shopper’s HDTV brand of choice. 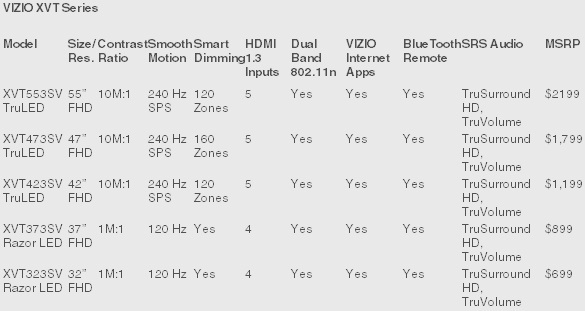 Peppered across shelves in Wal-Mart, Costco, and Target electronics department, the displays—albeit not the most advanced in terms of picture quality—have always been reliably, affordable, and completely viable options for people wanting to achieve the new American dream of owning a HDTV and Dolby Surround setup to come home to after another laborious 9-to-5. For a company that started with three employees and $600,000, VIZIO has gone on to become one of the leading LCD television manufacturers, just a fraction of a percent behind Samsung in 2010 sales. Their competitively priced models have helped solidify them as a recognized brand amongst their peers (Toshiba, LG, Samsung) and have helped separate them from the lagging Sony, a company who's HDTV offerings have all but been put down behind the tool shed like Old Yeller. 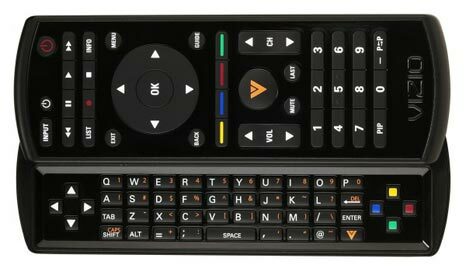 Coming just a day after releasing year-over-year sales figures showing 31% growth, which is nearly double the industry average of 16%, VIZIO announced on Friday (August 20th) the availability of their new upper echelon TVs: the RazorLED and TruLED XVT series.